Support the need in Haiti through art! 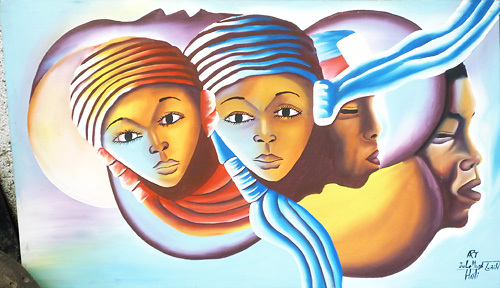 Noramise has brought back a collection of Haitian Art by local artists of the Tambour Creole Artists’ Cooperative. Paintings are available for sale at this art auction fundraising event on Orcas Island, WA, Sunday, August 29th from 1-5pm, or contact Rosedanie if you’re interested in buying some art. All proceeds go directly to the artists in Haiti. Painting by a 15 yr-old artist in Limbé, Haiti.